A website owner is always concerned about the traffic their site gets because when it comes to websites, the higher the traffic, the higher the success. However, if you as a website owner are not getting the success you want, then you need to take some measures to improve and enhance your site’s popularity. This is where website marketing comes in. Website marketing consists of various strategies and techniques that are implemented in order to increase a website’s traffic and success. Some of these techniques are extremely popular such as SEO, email marketing, pay per click ads, etc. but generally there are many techniques involved in website marketing. If you want to make use of website marketing, then you must decide whether you want professional website marketing or personal website marketing. If you want to pick the better option, here are the descriptions of both, along with their pros and cons. 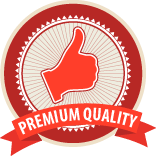 Personal website marketing is conducted – you guessed it – personally, by the website owners. Considering website marketing techniques are common, it is easy to learn and implement them. However, no matter how much you understand a process, it will not be termed professional unless you’re experienced in the field, so with personal website marketing, professionalism is not to be found. The best reasons for choosing personal web marketing are probably the economical factor and the fact that website owners can completely expect what the results may be, good or bad. Professional website marketing is when you get external help from web marketing specialists or professional agencies. The pros of this option are much higher than the pros of personal web marketing. The foremost benefit is professionalism. You get to use techniques that are tried and tested by the professionals, and you get to work with those who know what they’re doing. Additionally, the cost incurred is not an expense but rather an investment because once your website reaches its full potential, it brings returns and you get increased ROI. Another benefit is that you don’t personally have to invest the time and energy on website marketing. It may be easy but it is also time consuming. If you let a professional take care of the web marketing, you can focus on your business and let the pros work on the website. 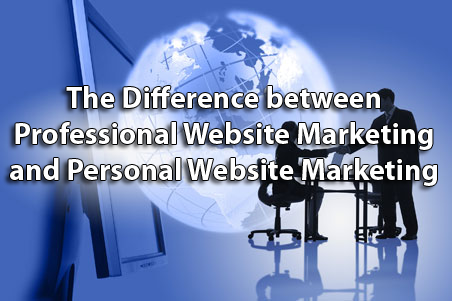 At the end of the day, professional website marketing prevails over personal due to many reasons and benefits. Your website marketing needs to work, not just be implemented. If you think you are capable of effectively increasing your web traffic yourself, you may do so. But it is a much safer choice to opt for professional website marketing.